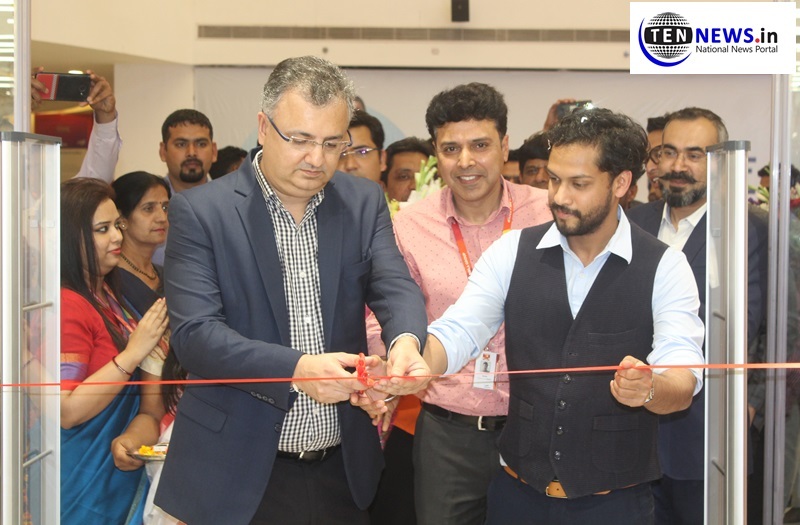 Greater Noida (29/03/2019) : Omaxe Connaught Place today witnessed a launch of “More Hypermarket” in the presence of both CEO’s of both Omaxe Ltd and More Retail Ltd. The hypermarket comes with a retail space of around 45,824 square foot which will be catering to the people of nearby region. Both the CEO’s launched the More Hypermarket by cutting the ribbon and lighting the lamp. During this, all the officials of both the organization remained present and latter they detailed both the CEO’s and shown them the hypermarket market. Mohit Kampani CEO of More Retail Ltd said “More Retail has India’s 3rd largest network of Supermarkets and Hypermarkets. This is our 25th Megastoreore in India and we are delighted to be part of Omaxe Connaught Place. We are confident that jointly we will delight our costumers of Greater Noida.